Each year, Diamond Select Toys makes the long trek from Baltimore to San Diego to meet their fans, show off upcoming products and offer the coolest exclusives. And this year is no different! In addition to several exclusive items that will be shared with retailers at the show, DST will have a few items that will only be available at their booth (while supplies last)! 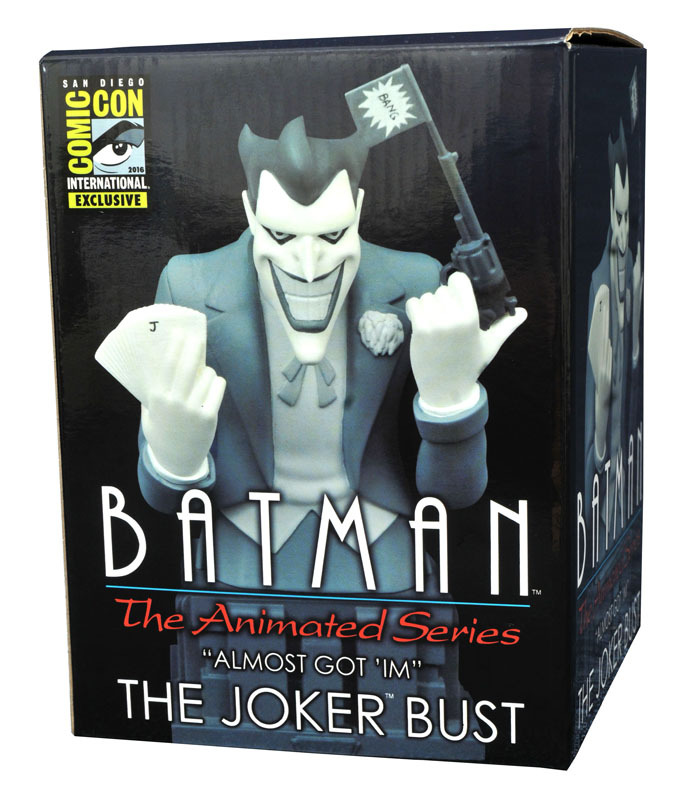 Read on for a list of exclusives pulled from the worlds of the DC Animated Universe, the Marvel Cinematic Universe, Marvel Comics, Ghostbusters and Star Trek! 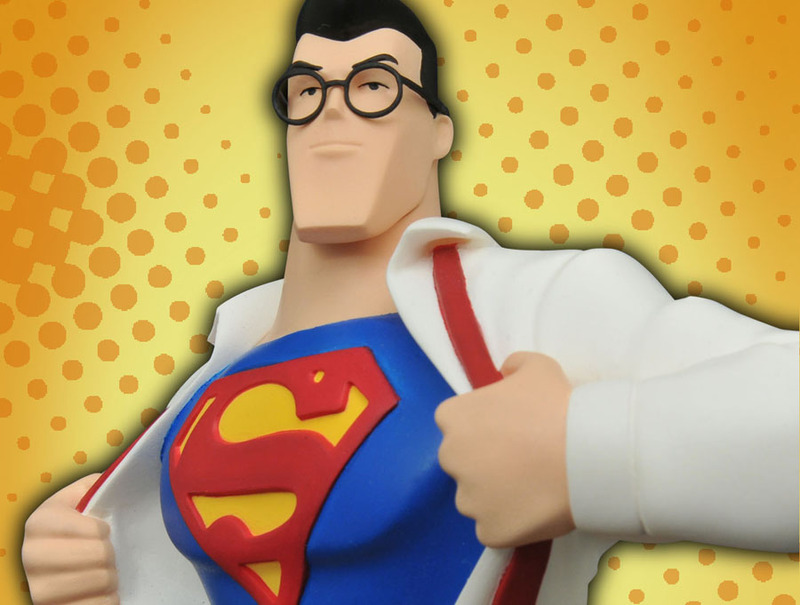 This looks like a job for Superman! 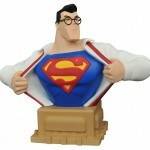 Channel your inner superhero with this exclusive resin bust of a bespectacled Clark Kent striking his most famous pose, ripping open his shirt to reveal the “S” shield underneath. 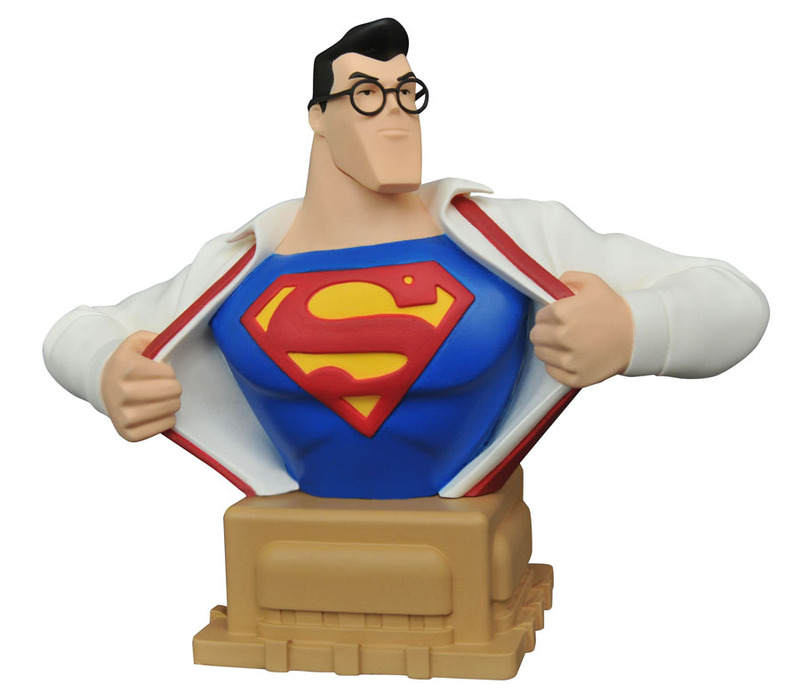 The man who would be Superman measures approximately 6 inches tall atop a pedestal inspired by the iconic show’s art-deco architecture. 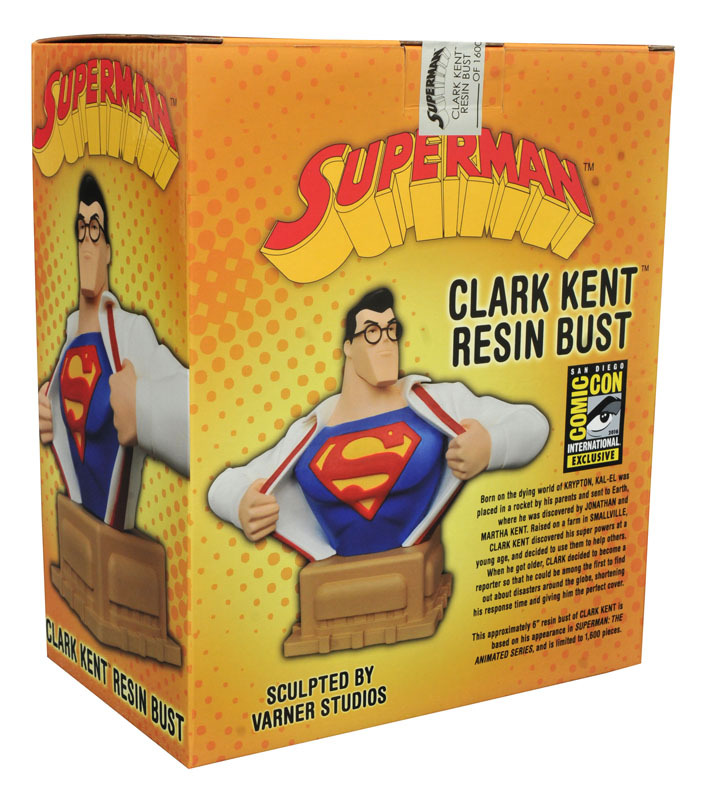 Packaged in a full-color box with a certificate of authenticity. Sculpted by Varner Studios! 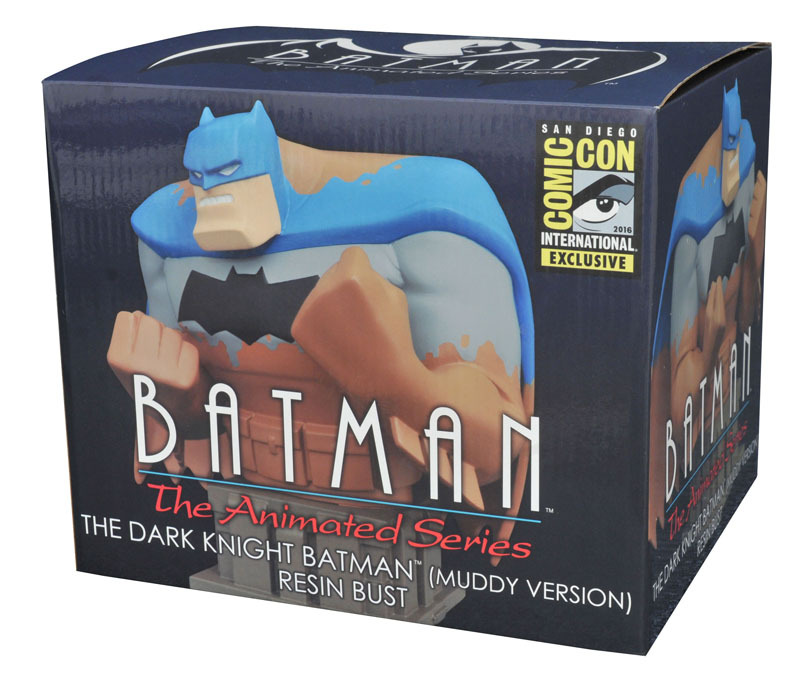 “This isn’t a trash heap, this is an operating table!” This exclusive muddy version of “Dark Knight” Batman is based on his appearance in the famous Batman: The Animated Series episode “Legends of the Dark Knight,” when he takes on the leader of a gang of mutants. 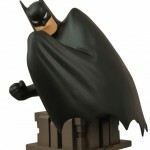 Measuring over 6 inches tall, he is ready to fight atop a pedestal inspired by the iconic show’s art-deco architecture. 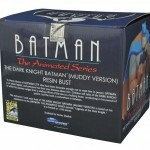 Packaged in a full-color box with a certificate of authenticity. Sculpted by Varner Studios! 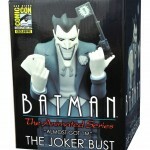 The “Almost Got ‘Im” sub-series concludes with this exclusive black-and-white resin bust of The Joker, as seen in the classic episode of Batman: The Animated Series! 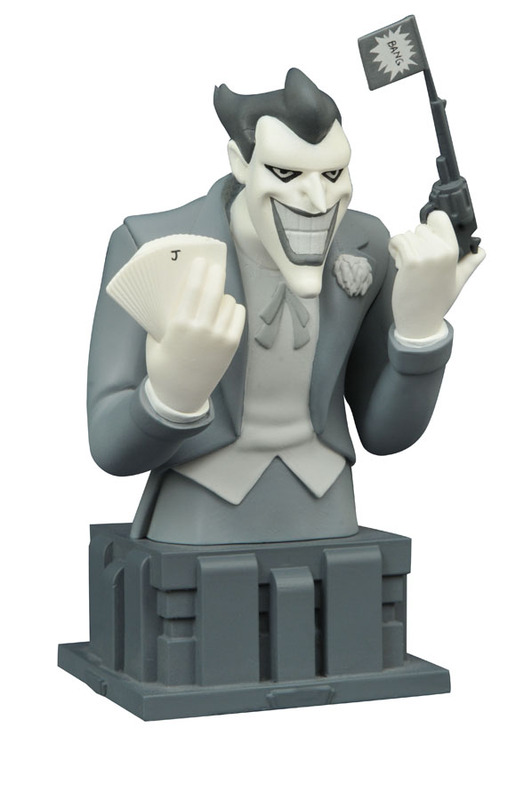 Measuring approximately 6 inches tall, the Clown Prince of Crime wields a deck of cards and a toy pistol atop a pedestal inspired by the iconic show’s art-deco architecture. 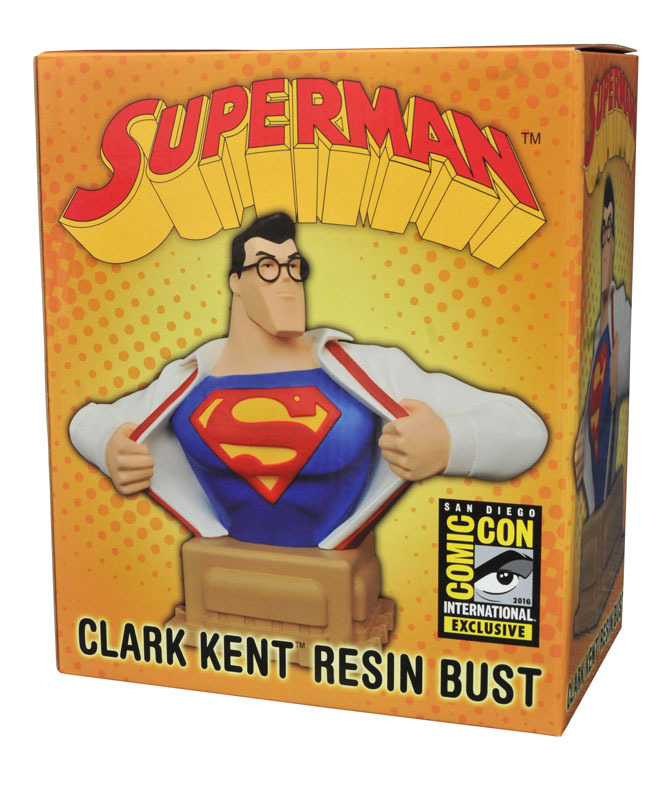 Packaged in a full-color box with a certificate of authenticity. Sculpted by Varner Studios! Diamonds are a girl’s best friend! The psychologist once known as Harleen Quinzel may have the hots for The Joker, but the Clown Prince of Crime doesn’t always realize what he’s got! 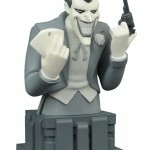 This exclusive 12” resin statue of Harley Quinn is based on her look in the classic New Batman Adventures episode “Mad Love,” and depicts a dolled-up Harley wielding her mallet and pistol. But this limited edition adds a little incentive for the Joker, with added harlequin patterning on Harley’s nightie as well as inset diamonds and rubies! 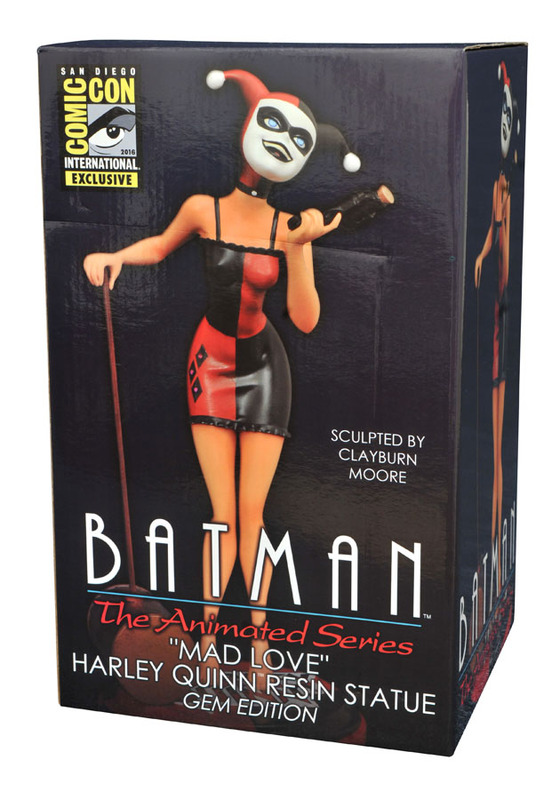 Packaged with a certificate of authenticity in a full-color box, Harley Quinn just got a lot more irresistible! 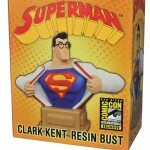 Sculpted by Clayburn Moore! Gentlemen, we’re home! 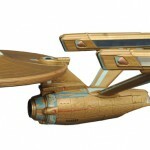 DST returns to Comic-Con with a special product celebrating the 50th anniversary of Star Trek! 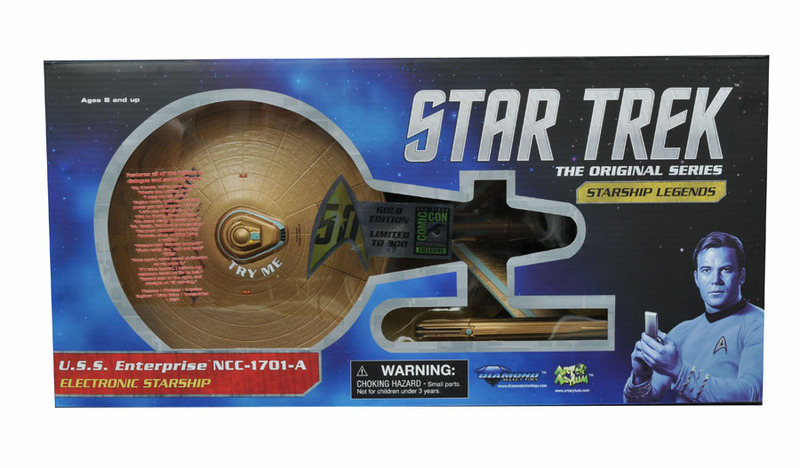 This gold edition of the U.S.S. 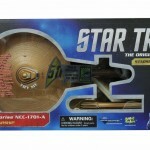 Enterprise-A, from the feature films, features all of the classic lights and sounds of the original release, but with a highly limited gold finish. Play back dialogue from Star Trek IV, V and VI with the push of a button, including lines from Kirk, Spock, McCoy, Chekov, Uhura and Scotty, as well as sound effects and light effects! 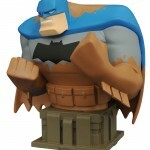 Runs on three AAA batteries (included) and comes with a display stand. 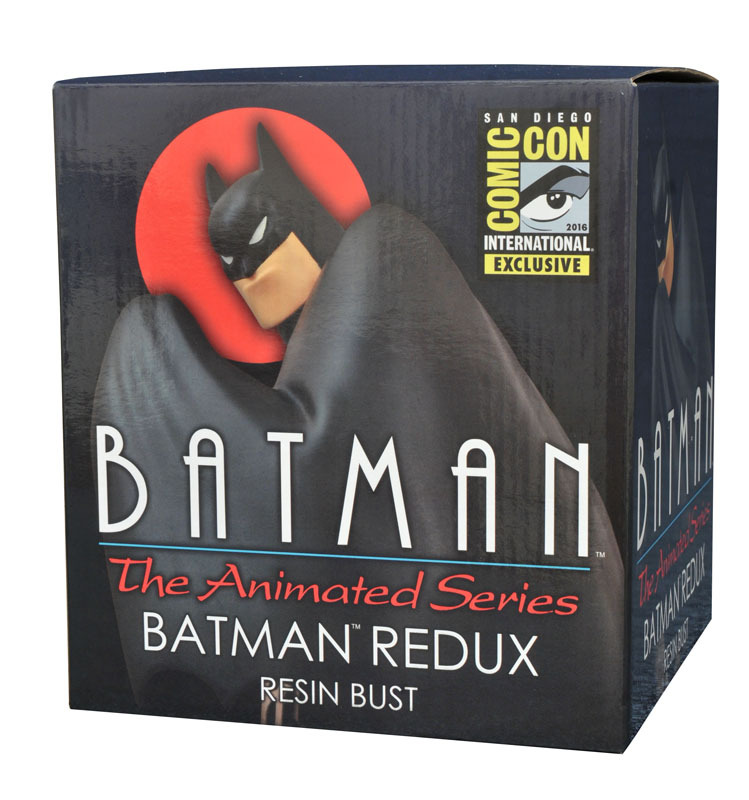 SDCC 2016 BATMAN: THE ANIMATED SERIES BATMAN LOGO BUST Batman returns in this all-new exclusive 6” resin bust inspired by the famous logo of Batman: The Animated Series! 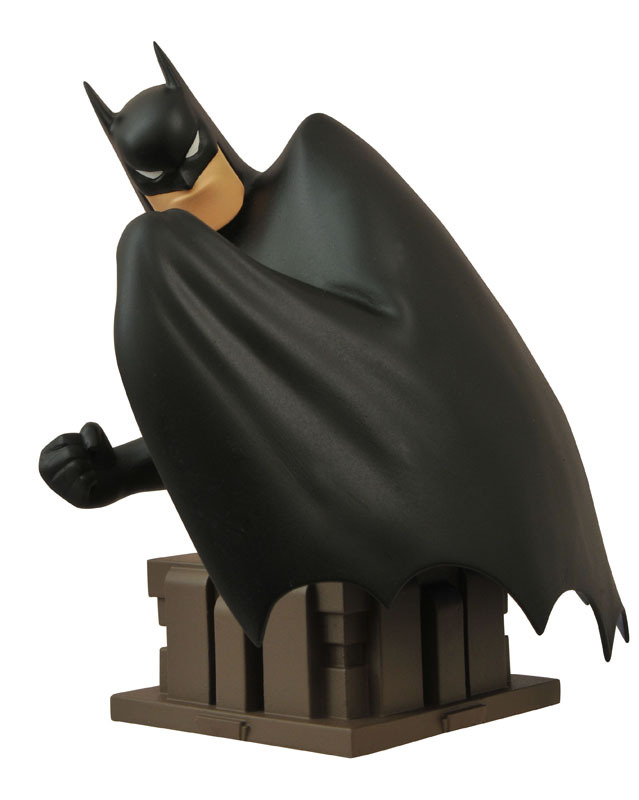 Drawing his cape around him, the Dark Knight lurks in the shadows while posing atop a pedestal inspired by the iconic show’s art-deco architecture. 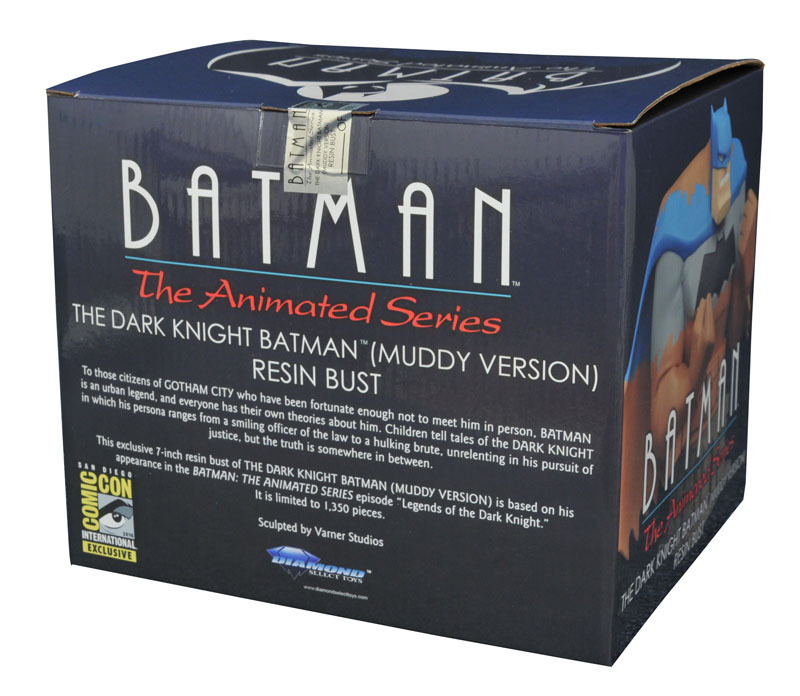 Packaged in a full-color box with a certificate of authenticity. Sculpted by Varner Studios! 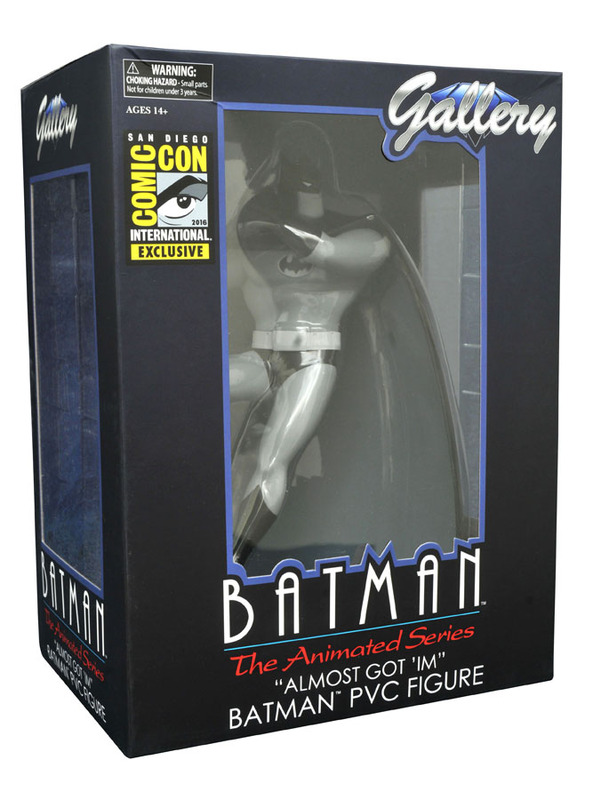 SDCC 2016 DC GALLERY: BATMAN: THE ANIMATED SERIES BLACK & WHITE “ALMOST GOT ‘IM” BATMAN FIGURE He is vengeance! He is the night! He is Batman! 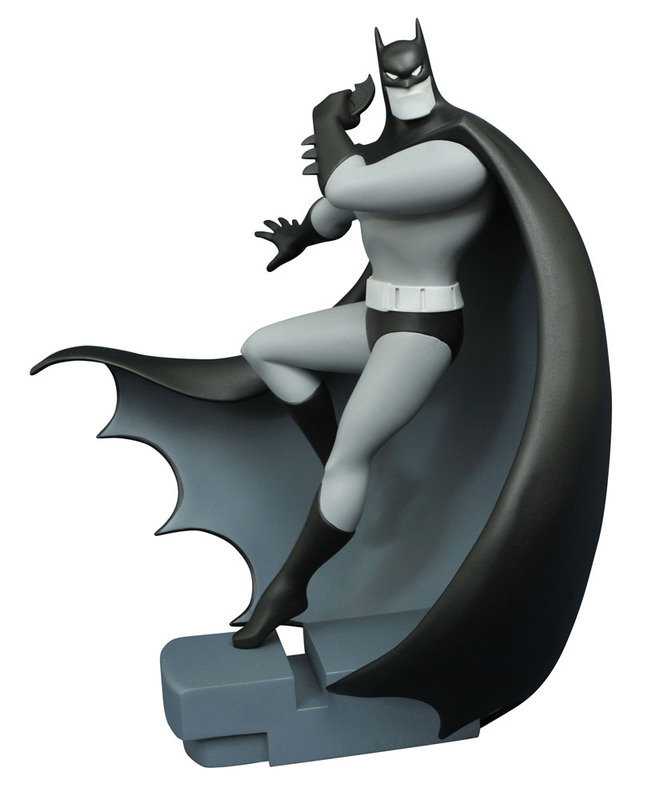 Based on his appearance in Batman: The Animated Series episode “Almost Got ‘Im,” this exclusive 9-inch scale PVC figure of Batman captures him in a monochromatic color scheme, alighting on a rooftop with a Batarang at the ready. 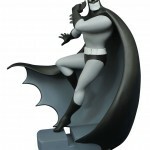 Sculpted with a high level of detail and featuring exacting paint applications, Batman is in scale to all Femme Fatales and Gallery PVC figures. Packaged in a full-color window box. Sculpted by Varner Studios! 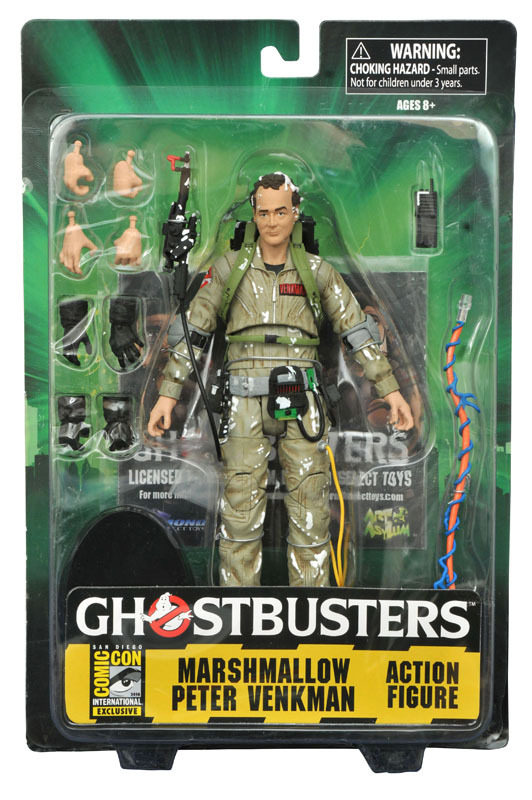 SDCC 2016 GHOSTBUSTERS: MARSHMALLOW PETER ACTION FIGURE Who ya gonna call? 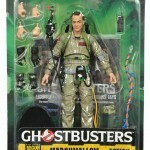 The 1984 horror-comedy classic Ghostbusters is as beloved now as it ever was, and this exclusive action figure captures one of its most beloved characters! 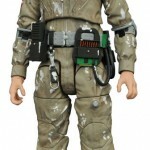 The fun-loving spokesman of the Ghostbusters, Peter Venkman gets covered with marshmallow in this exclusive 7-inch scale action figure featuring newly sculpted parts, as well as the standard 16 points of articulation, plus alternate hands, proton pack, neutrino wand and display base. Sculpted by Gentle Giant! 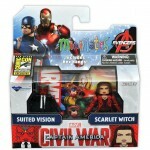 Prepare to marvel at this new series of PVC figures based on the heroes and heroines of the Marvel Universe! 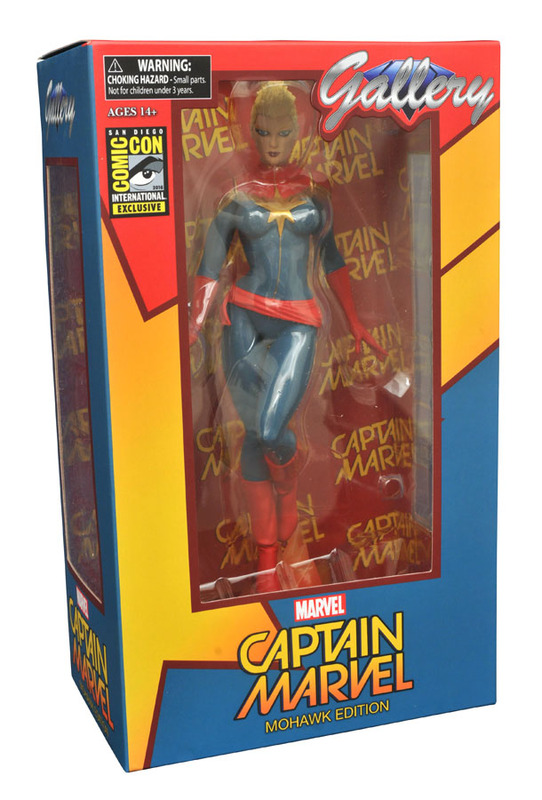 DST’s Marvel Gallery line kicks off with this exclusive variant, capturing Carol Danvers, a.k.a. 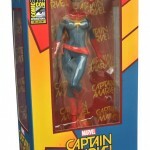 Captain Marvel, with her distinctive Mohawk hairstyle! This plastic figure of the Kree-powered Avenger is in 9” scale, and features a detailed sculpt and an exacting paint process. 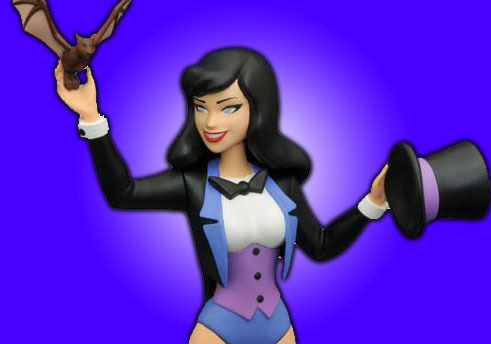 She comes packaged in a full-color window box, and is in scale to all Gallery and Femme Fatales PVC figure. Sculpted by Alejandro Pereira! 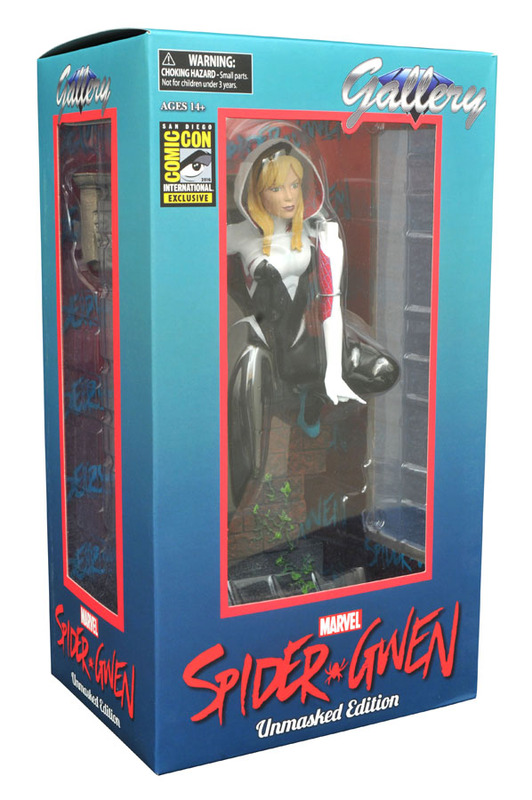 SDCC 2016 MARVEL GALLERY: SPIDER-GWEN UNMASKED PVC FIGURE One of the most exciting new characters in the Marvel Universe is now an exciting exclusive! The Amazing Spider-Gwen, a spider-powered, hard-rocking Gwen Stacy from a parallel universe, gets unmasked in this exclusive 9-inch scale variant PVC figure! Posed on the side of a New York brownstone, Spider-Gwen is sculpted with a high level of detail and exacting paint applications. 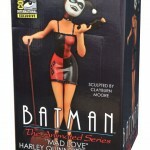 Packaged in a full-color window box, she is in scale to other Gallery and Femme Fatales PVC figures. Sculpted by Jean St. Jean! 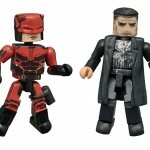 The critically acclaimed TV show is joining the Marvel Minimates line! 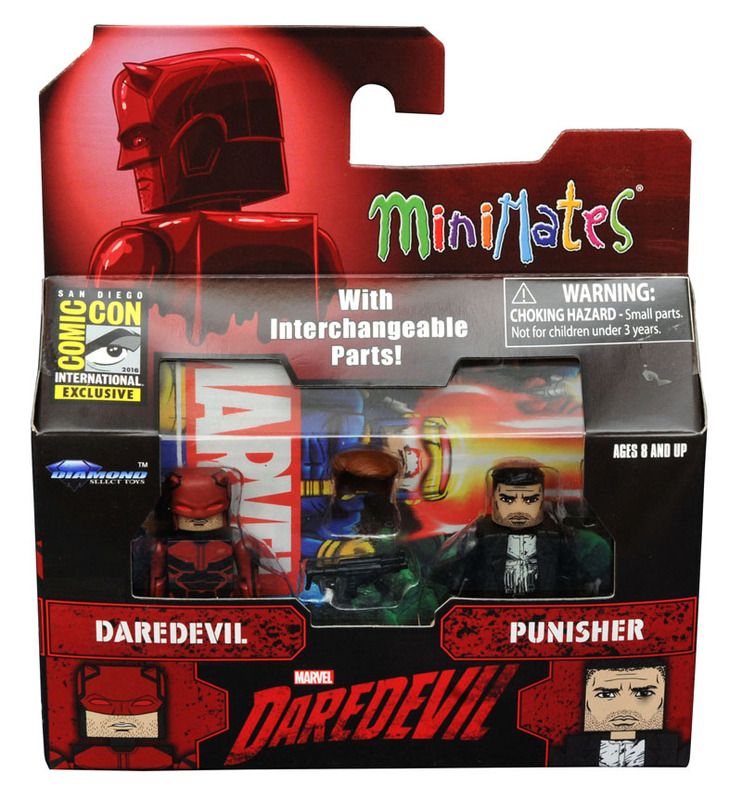 Based on the popular online TV series Daredevil, this exclusive two-pack of Minimates mini-figures features Daredevil and Punisher in their most recent on-screen looks! Matt Murdock, a.k.a. 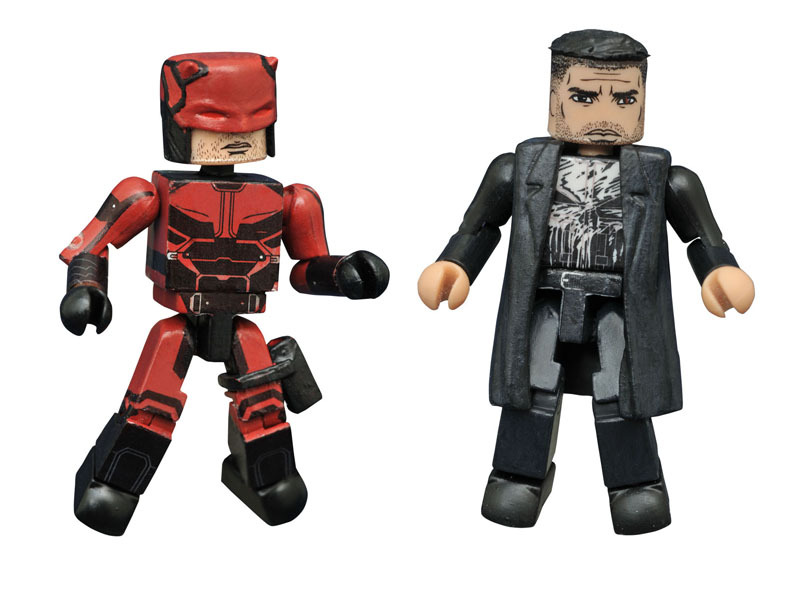 Daredevil (in his red costume), includes batons and an alternate hairpiece for an unmasked look, while Frank Castle, a.k.a. the Punisher, comes with multiple weapons for bringing the fight to the criminals! 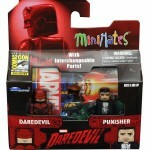 Each 2-inch Minimates mini-figure measures 2 inches tall and features 14 points of articulation. Packaged in a full-color window box! 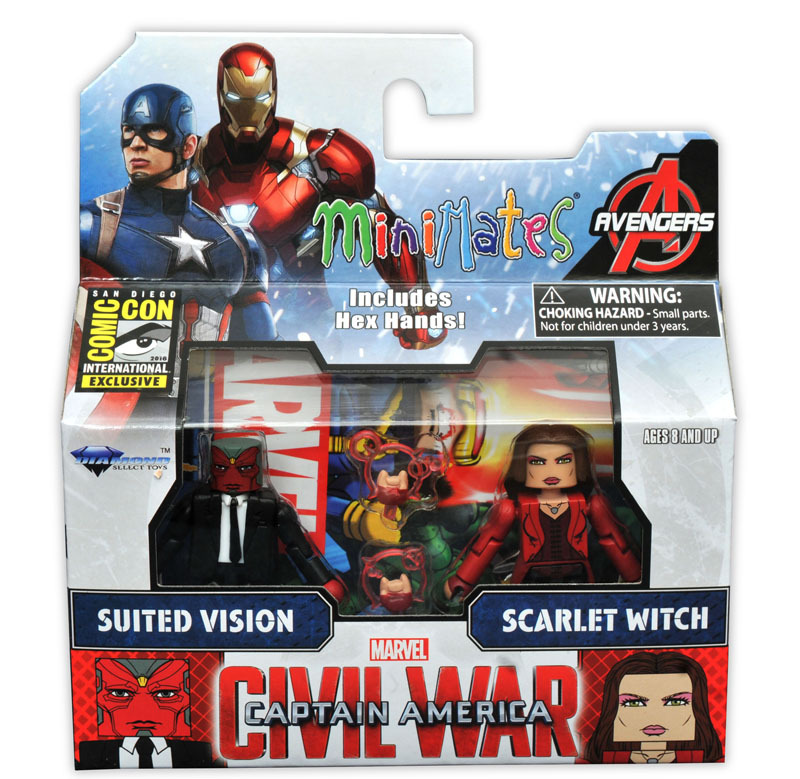 SDCC 2016 MARVEL MINIMATES: THE VISION/SCARLET WITCH 2-PACK They’re the ultimate power couple! 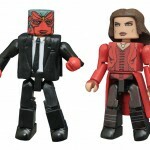 Straight from their appearance in Captain America: Civil War, rookie Avengers Vision and the Scarlet Witch bring their on-screen chemistry to this exclusive Minimates 2-pack! 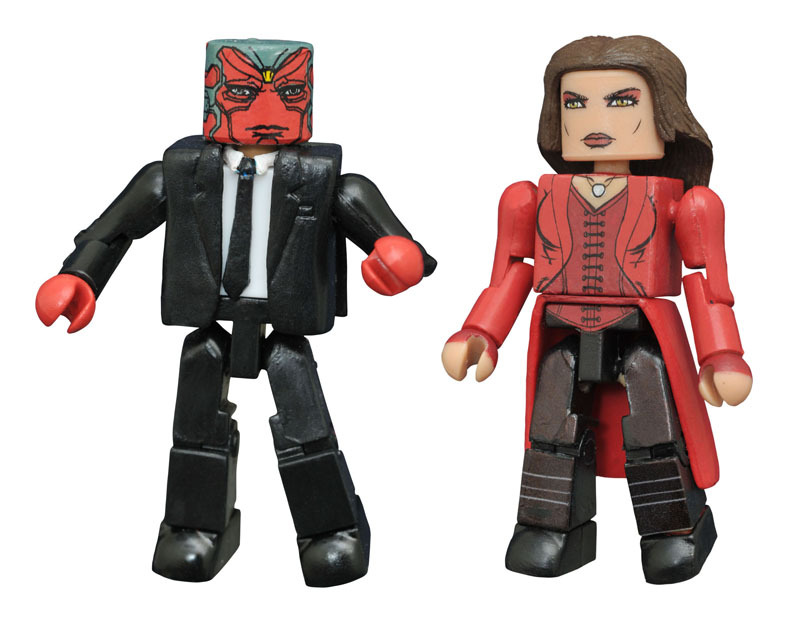 Wanda Maximoff wears her latest movie outfit while Vision wears a snappy suit. 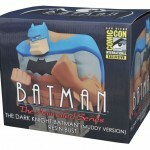 Each 2-inch Minimates mini-figure measures 2 inches tall and features 14 points of articulation. 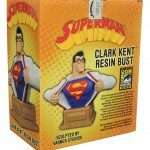 Packaged in a full-color window box! $5, Limited to 7,500 copies. Stay tuned for announcements about DST panels and events at Comic-Con! 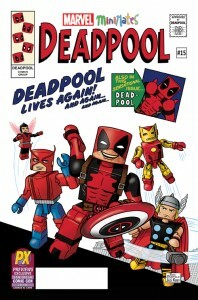 Next Up: Ask DST #324: Marvel! 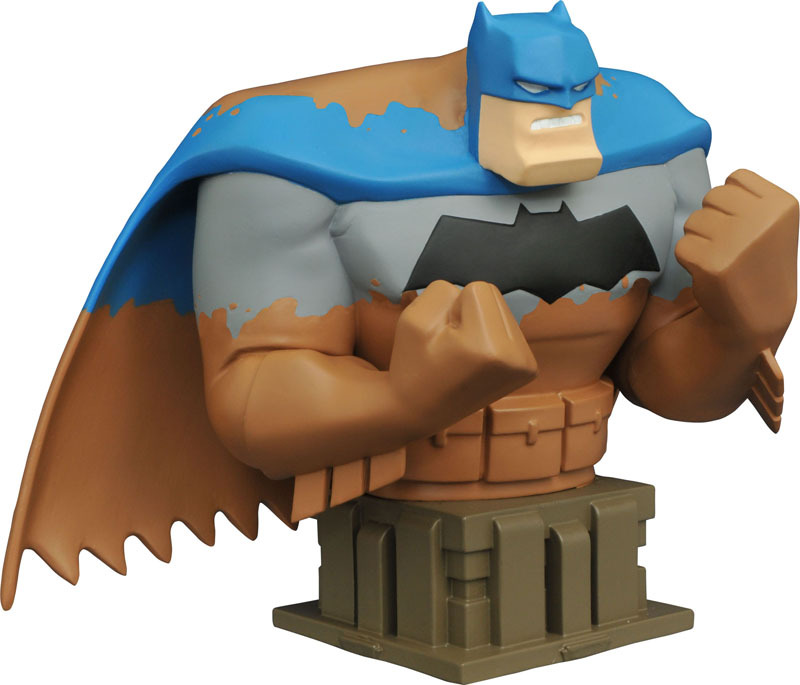 Diamond Select Toys Offers an Array of Exclusives at Comic-Con 2015! 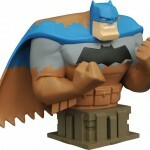 Last-Minute Gift Ideas from Diamond Select Toys! 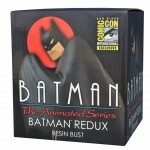 Diamond Select Toys and Action Figure Xpress Team Up for Four Comic-Con Exclusive Products! 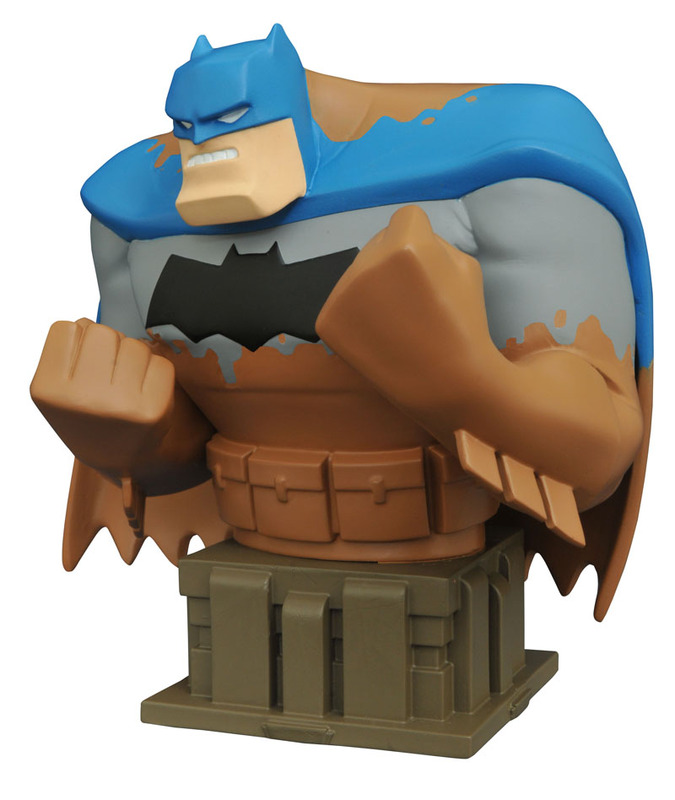 Diamond Select Toys Brings Panels, Exclusives and More to NYCC 2015!